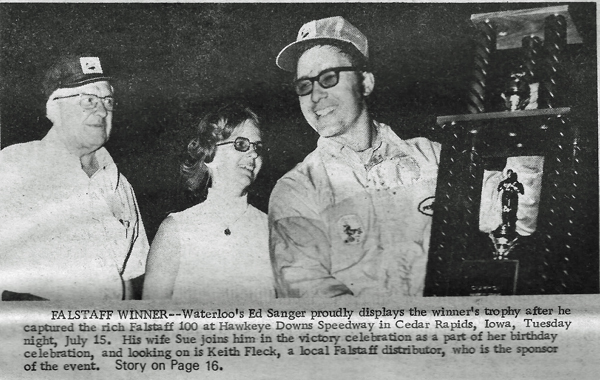 Cedar Rapids, Iowa (July 15, 1975) - Ed Sanger's 1973 Camaro stock car is in the midst of getting a new paint job. But Ed can't find the time in a busy race schedule to hire the work done and furthermore, he can't do the job himself because the Waterloo fire department says the painting facilities in his shop don't measure up to the prescribed safety standards. Consequently, “Fast Eddy”, the current point-leader at Hawkeye Downs, put a half yellow-half black car on the track Tuesday night for the third annual Falstaff 100. 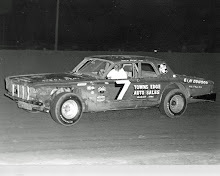 Maybe the car wasn’t the prettiest, but the masterful race jockeyed by the Waterloo hotshoe was, as he came from a fifth-row starting position and won the 100-lapper, barely edging his brother Karl, who started 18th. Don’t worry about Sanger though. The feature paid a record $1,400 to the winner, so if Ed is ready to invest he should be able to bring his shop up to snuff and into presentable paint shape. A Hawkeye Downs crowd estimated at 5,500 - the net proceeds went to the Multiple Sclerosis Society watched the most exciting Falstaff 100 yet and in the process, witnessed some nifty driving by at least eight hard chargers who battled for the lead at various times. Lisbon's Roger Dolan set fast time of 24.78 seconds and won the pole, just missing the track record held jointly by Cedar Rapids' Darrel Dake and Keokuk's Ernie Derr (24.57). Roger led for 32 laps but coming out of the fourth turn on the 33rd tour, Sanger dipped underneath Dolan and took a lead he never relinquished. 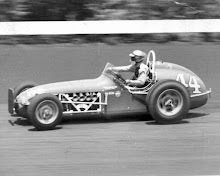 The track was in excellent condition and had an unusual swift high groove and Dolan took full advantage of it. However, the going up high appeared to get slower and Roger eventually lost ground to fourth place. Sanger had a different explanation, however. “I was surprised that I was able to work into the lead because everyone was running extremely hard, especially since I started 10th, but I'll take it,” he added with a wry smile. Dolan won the Trophy Dash and also picked up another trophy for setting fast time. Heat wins went to Ken Walton of Viola, Ron Weedon of Pleasant Valley, Mel Morris of West Liberty and Em Freitheim of Decorah. 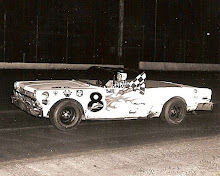 Weedon also won the 25-lap consolation, taking the lead for good when Omaha’s Bob Kosiski went out on the 19th lap. Several pilots gave Sanger a run and the strongest challenge came from Dike’s Curt Hansen. Hansen was running second when he lost his steering on the 43rd lap and hit the fence in the first turn. 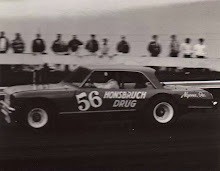 Don White, the winningest USAC stock car driver in history (52 wins), ran a steady race in his Chrysler Kit Car and wound up third behind Karl Sanger. Karl probably gets the credit for the best bit of driving. He started 18th and made it a 1-2 finish a family affair with his brother Ed. Cedar rapids' DarrelDake challenged early and took fifth. 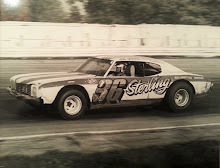 Irv Janey, the USAC stock car rookie of the year in 1973, drove Dake's backup car, but finished well back in the pack.